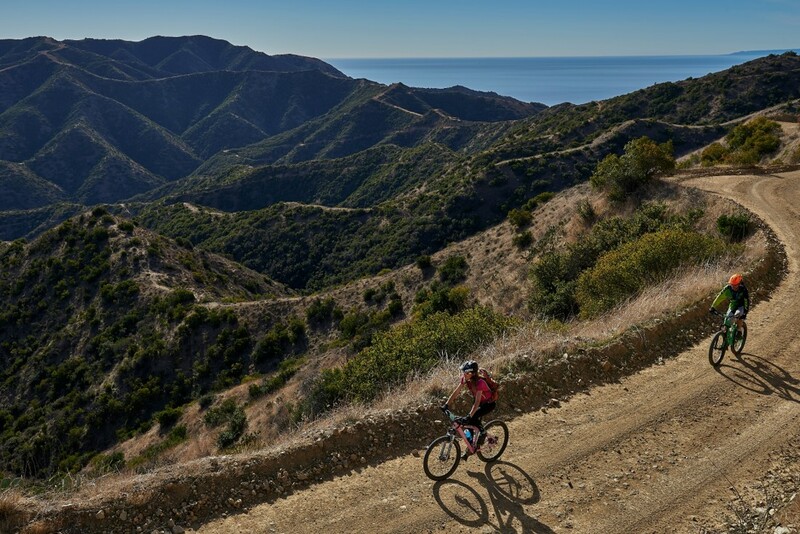 Biking is a great way to see Catalina's wildlands! To bike in the wildlands of Catalina a Freewheeler Bike Pass is required, and is available through the purchase of a Conservancy membership starting at $35. To join now, click here. Bring your receipt with you to any of the Conservancy's locations where our friendly and helpful staff will issue you the permit placard that goes on your bike. 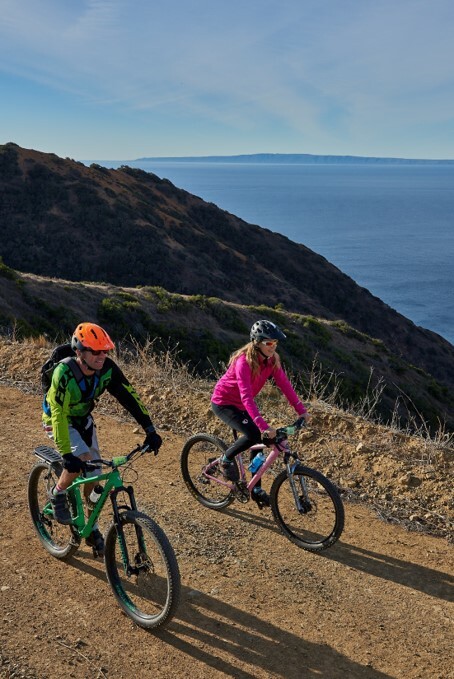 Cyclists on Catalina enjoy the fresh air and challenging twists and turns of the Island's 40 miles of trails and roads (mostly unpaved) open to mountain biking, plus the added benefits of Conservancy membership. The terrain is not for the faint of heart though. The interactive map below gives you an idea of how steep some of the roads are so you can evaluate if for yourself. Note that "red" lines mean the road is quite steep! 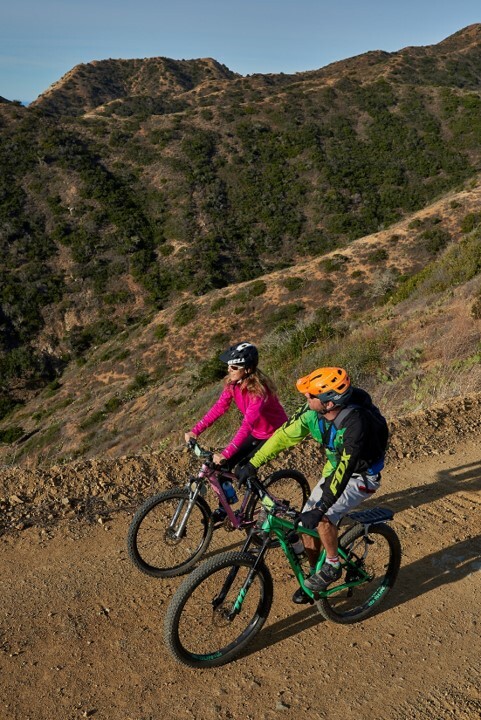 For bike rentals contact our Avalon Business Partners by calling Brown's Bikes at 310-510-0986 or BikeCatalina at 310-913-1028 for a one-stop guided or self-guided bike experience through Catalina's wildlands. Your bike, permit, and shuttle to the airport will be scheduled for you. IMPORTANT NOTE! 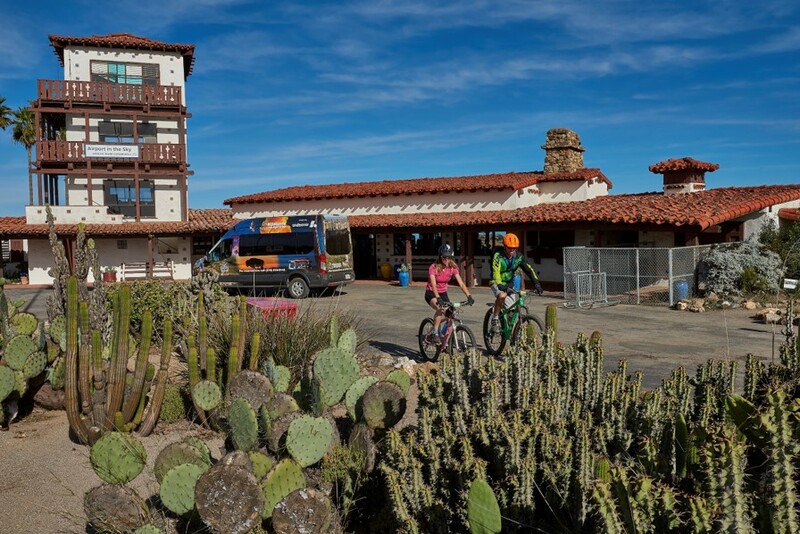 : For your safety, we RECOMEND ALL TERRAIN BIKES— those equipped with multi-speeds and all-terrain tires — for biking in Catalina's wild interior. Hard-shelled helmets are required for all bikers. Please note that wildlife on Catalina Island, as in Wildlands, can cause serious injury or even death. Please do not approach or harass wildlife and always maintain a safe distance. Take plenty of drinking water on your ride, be sure to stay on approved bike routes and read all of the Policies and Island Cautions before embarking on your adventure. Please check back soon for further improvements to our island biking program. 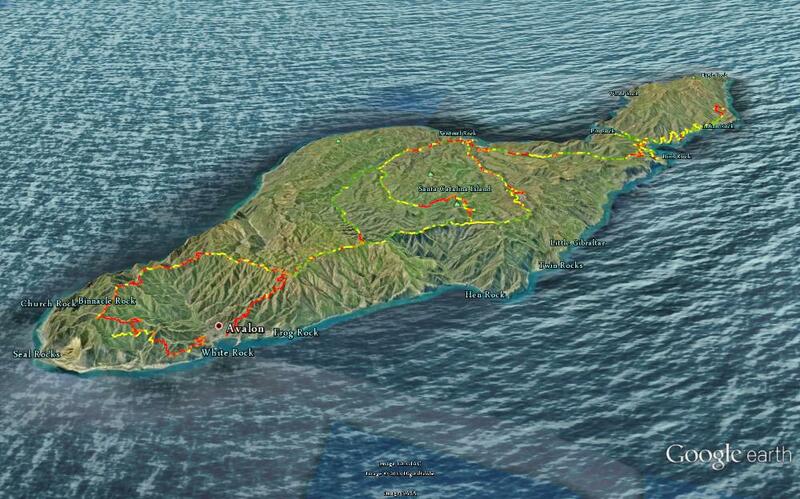 Your Freewheeler Bike Pass helps keep Catalina wild! 8 a.m. to 5 p.m. (winter) 7p.m. Center Open daily from 7:30 a.m.
to 4p.m. (winter) 6:30 p.m.
For the safety of hikers, and the enjoyment of cyclists, bikes are permitted on about eight miles of the Trans-Catalina Trail – from along Renton Mine Road, East End Road and Divide Road to Dakin Peak (the microwave tower) on the East End. Click here to view a biking map.